Yesterday I hurt my back/body really, really badly. I was at work, just standing normally, and suddenly I felt a sharp pain in the center of my back, then it shot out around my back, my sides, to my upper torso. It literally felt like a rope was being tightened around my body. It lasted at least 10 minutes and was scary and painful. I come from a long line of bad backs (thanks Mom and Dad), and so I’ve had my fair share of back throw-outs, but this was nothing like those other experiences. I ended up having to go to the emergency room, because my doctor couldn’t fit me in but said that I needed to be seen immediately. As it turns out, I’m fine, it was most likely muscular spasms in my thoracic cavity. Or something. In any case, I am home from work for two days now, taking medication and alternating heat and ice. 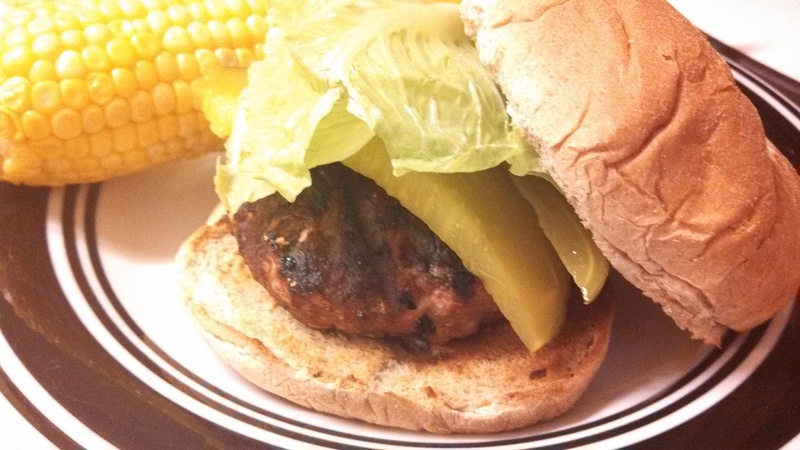 That aside, these Brie Stuffed Turkey Burgers by Relay Foods guest blogger Tim Vidra were amazing. Kevin might have even said they’re the best turkey burgers I’ve made, but he said that recently about my spiced up turkey burger as well. Brie is his favourite kind of cheese, and it’s perfect for being the nicely melted center of a burger. The hearty greens also added an extra flavour and crunch. I used collard greens, because we already had them in the fridge (we feed them to our bearded dragon). I tasted a small piece on its own and it turns out I’m not a huge fan of it solo, but chopped into a burger patty, it works out well. This was also incredibly simple to throw together (and you can chop the onion ahead of time, to save even more time prepping, but I didn’t do that). The spicy mustard also packs a punch in the finished product, but you can omit that if you’re not a mustard fan (I buy the spicy dijon-type mustard, which is an acquired taste). Additionally, I accidentally forgot to get an avocado, which made me sad, but was still yummy nonetheless! -Mix all burger ingredients together (minus brie and toppings) until well combined. -Form into patties and place slices of brie on top of each patty, then fold the patties around the brie and re-shape into patties (make sure none of the brie is showing). -Grill for 5-7 minutes per side, until done, or you see brie slipping out of the patties. 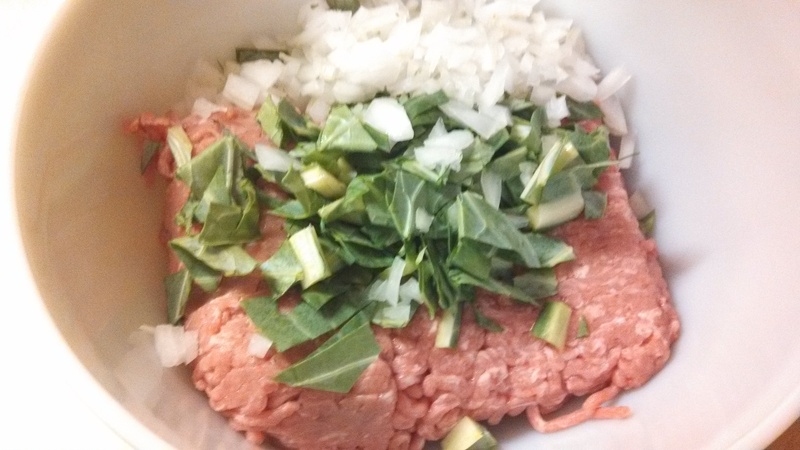 -Assemble patties on toasted buns, spread spicy mustard over each one and add toppings.